Our firm utilizes state-of-the-art technology and cost-effective methods to provide services in a timely, client-oriented manner in a friendly and professional environment. The Law Offices of Stephen P. Rahavy, located in historic Dedham, Massachusetts, was established in 1981. Before moving to Dedham, the firm was located in downtown Boston’s Financial District, for 25 years. 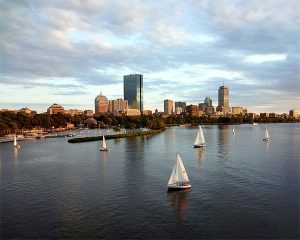 We now serve clients in Boston and the surrounding areas from Dedham, but still maintain the capabilities of a downtown law firm. Our firm utilizes state-of-the-art technology and cost-effective methods to provide services in a timely, client-oriented manner in a friendly and professional environment. Stephen’s approach focuses on each client’s background, needs, and goals and he is committed to responding promptly to telephone inquiries, to reporting on cases regularly, and to minimizing and eliminating risk by informing clients of significant changes in the law. Stephen has served three (3) terms as past Chairman of the Town of Dedham, Massachusetts, Board of Selectmen, and was a nine (9) year Board Member. Stephen served two elected terms as an Assessor and has been certified by the Commonwealth of Massachusetts to classify property pursuant to the provisions of G.L. c.59 2A and 38. His community involvement includes past Chairmanship of the Dedham Finance Committee as well as the Chairmanship of numerous ad-hoc committees appointed by the Board of Selectmen. For more information about our firm or the services that we offer, contact our office today and schedule a consultation with experienced lawyer Stephen Rahavy.